No Theater presents "google gogol", Inspired by Nikolai Gogol’s Ревизор, (Revizor - The Government Inspector), the 19th century comedy about how the corrupt officials of a small Russian town, headed by the Mayor, react with terror to the news that an incognito inspector will soon be arriving in their town to investigate them. No Theater rarely performs locally. During the 70s and 80s they regularly performed on Thornes, Northampton. Their most recent local production was Richard Maxwell’s “Cave Man,” which previewed here for several months before its run in New York. No Theater’s work has been performed throughout Europe, in Japan and Australia. No Theater is in residence at A.P.E. the month of March creating the new work. 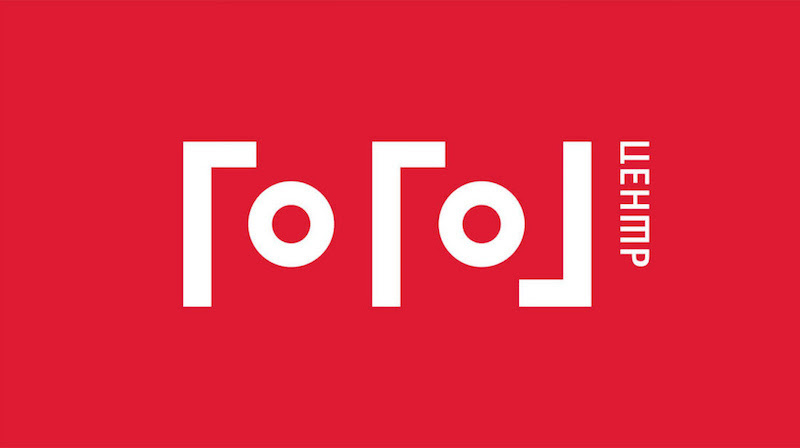 This image is the logo for the Gogol Center (ГОГОЛЬ-центр), the Moscow Drama Theatre named after Nikolai Gogol, whose Artistic Director is currently under house arrest by the Russian government. Google Kirill Serebrennikov for details.